Good Morning! 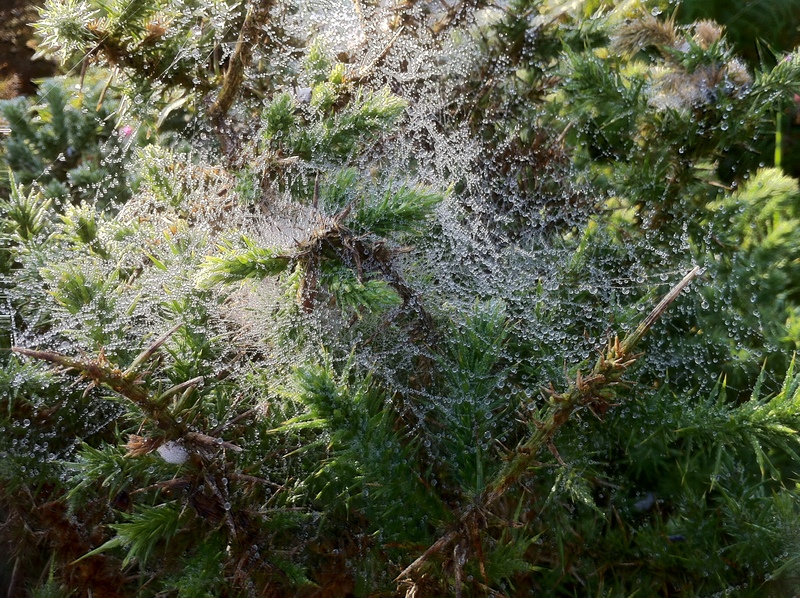 This weeks WordPress photo challenge is ‘Good Morning!’ and for some reason I immediately thought of cobwebs. I see them every morning as little gossamer-threaded carpets glistening with dew in the grass when I take the dogs out first thing in the morning and I can’t help but smile at the spider’s industry whilst most of us have all been tucked up in our beds. 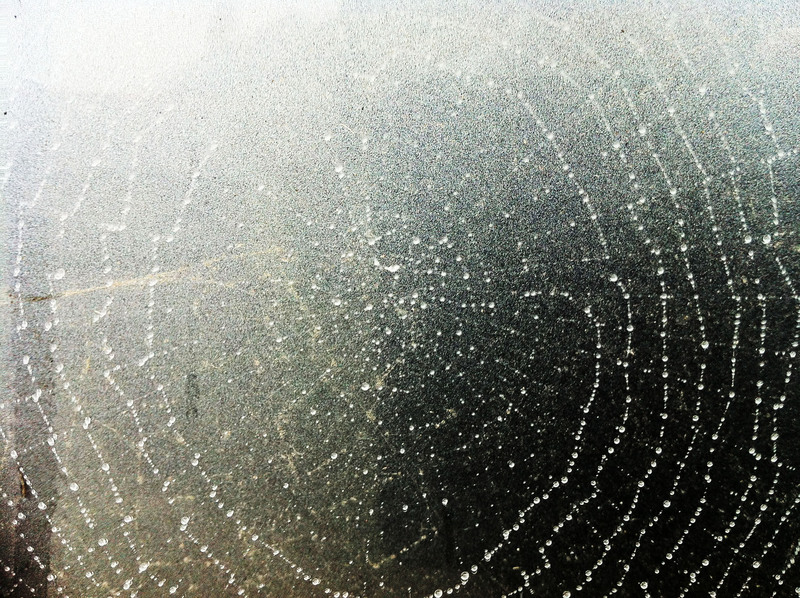 The fact that a spider’s web has featured many times in the past few days has not gone unnoticed. 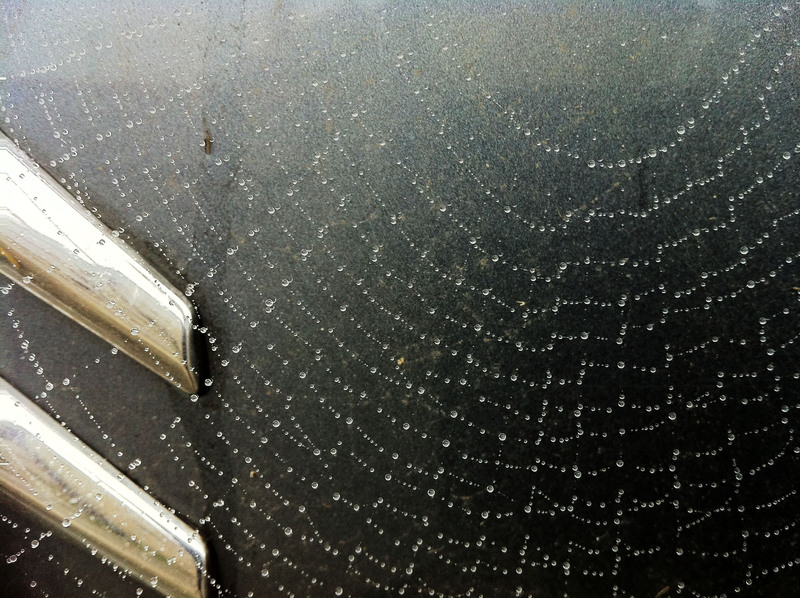 I was arrested by this beautiful web that appeared overnight on the back of my car recently. The fact that it had appeared on my instrument of transport seemed particularly poignant. Is this a reminder that my journey is in the process of change? Seeing a web brings attention to the elaborate construction of our lives, and the power to repair broken threads or build new webs when required to do so. The fact that a friend recently saw me becoming entangled in a web when he envisaged a situation I have become involved in made me sit up and take notice. These delicately exquisite constructions are usually made overnight thus making me think of them as dream catchers that allows us to filter out negative influences. I think this is why they have been brought to my attention recently. For other Good Morning! photos, see here. Scary, yet beautiful! Nice pictures! Thanks so much Charlie. Really appreciate your comments. Interesting, it didn’t occur to me that anyone might find them scary, but I guess they wouldn’t appeal to the arachnophobe! Today there are two beautiful webs on the back of my car! Does this mean there is another ‘situation’ about to enter the journey of my life? Or is that too fanciful, I wonder?